WizKids Games, in partnership with Konami Digital Entertainment‘s 4K Media, have announced the retail release of Yu-Gi-Oh! 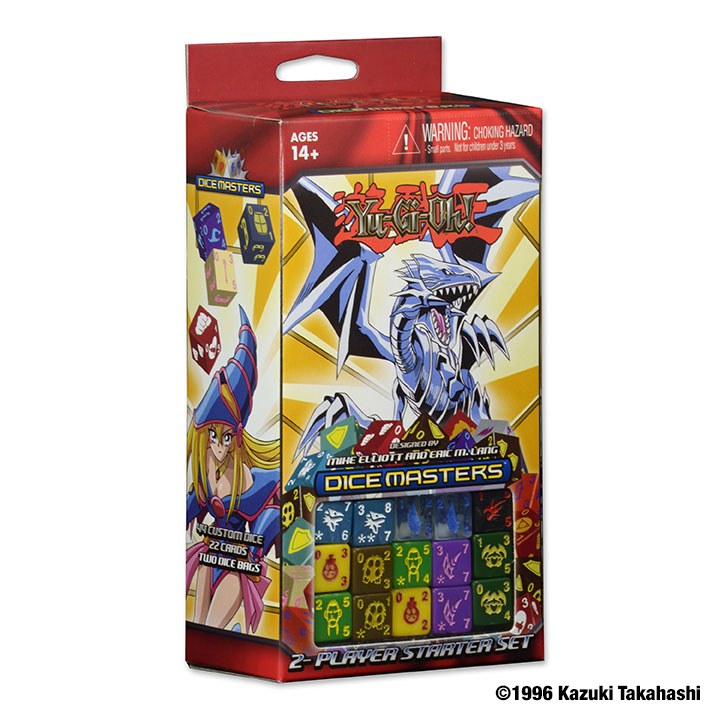 Dice Masters, a Dice Building Game based on the immensely popular monster battling franchise. Available now for a suggested retail of $14.99 USD, the Yu-Gi-Oh! Dice Masters 2-Player Starter Set includes 44 dice, 22 cards, two dice bags and a rulebook. Everything two duelists need to play Yu-Gi-Oh! Dice Masters. The Yu-Gi-Oh! Dice Masters Starter Set is available at friendly local retailers in North America starting today with Gravity Feeds and Play Mats following, and will be available January 31 in Europe. The much delay plagued Wizkids Dice Masters game will see Yu-Gi-Oh! Dice Masters: Series One released on January 28. The release will include the usual 2-Player Starter Set, Expansion Packs, and also a playmat. The started set includes 44 custom dice, 22 cards, two dice bags and a rulebook. The retail price is a reported $14.99. The gravity feed will retail for the usual $0.99 a pack and include two dice and two cards. The playmat is a much needed addition to the game and includes a play are for characters and dice, basic action cards and dice, as well as a life meter. The mat is 24″ by 13″ and will retail for $19.99. This is one of four universes for the Dice Masters game. Games based on Marvel DC Comics, and Dungeons & Dragons all have been announced as well. 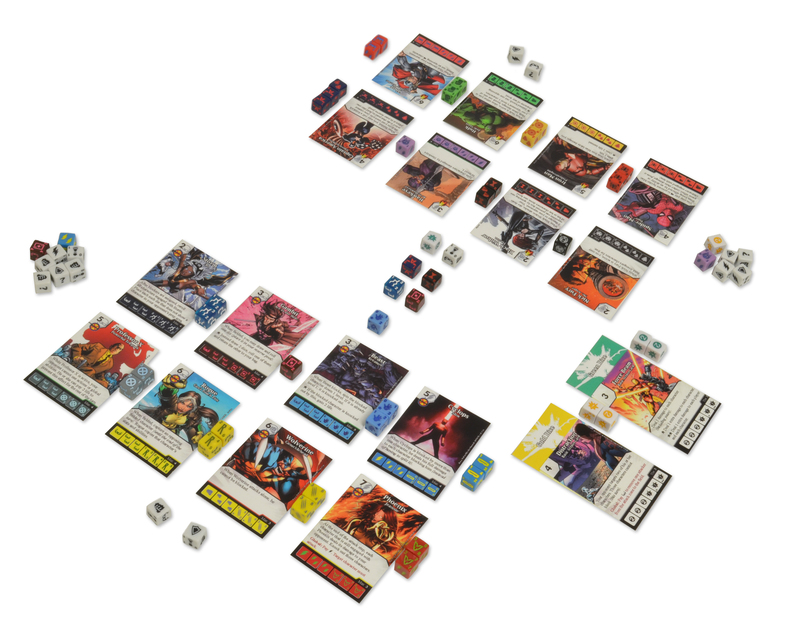 The newest set, Marvel Dice Masters Uncanny X-Men should be released next week, and recently another Marvel based set, Age of Ultron, will be out in May 2015. Dungeons & Dragons Forgotten Realms: Battle of Faerun will be released in November. DC will see its release in March 2015. WizKids‘ dice game Dice Masters is getting another new set. 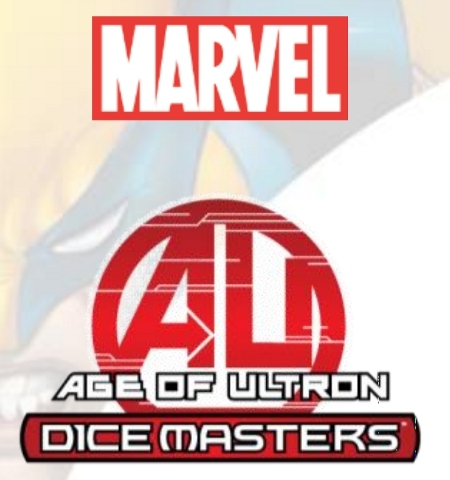 The company has announced a new set Marvel Dice Masters: Avengers Age of Ultron. The new set will be released on May 6, that’s the week after Avengers: Age of Ultron comes out in theaters. The new set will feature brand new characters never released before such as Rocket Raccoon, Groot, Captain Marvel, Daredevil, and Kang. It’ll also include new versions of characters such as Iron Man, Hulk, Captain America, Black Widow, and Thor. The Starter set comes with 44 dice, 38 cards, two dice bags and a rulebook. The Starter set retails for $19.99. There’s also be a 90-Ct Gravity Feed which will feature 30 new characters and retail for $0.99 a pack. This is the third Dice Masters set based on Marvel properties. The first had a rocky start with shortages that are only being rectified now. A new set, Uncanny X-Men, was set to be released soon, but shipping delays have resulted the product to be delayed a few weeks. The game will also see two other franchises adapted, DC Comics and Dungeons & Dragons. WizKids‘ President Justin Ziran took to the company’s blog to address the shortage of their latest (and newest hot) game, WizKids Dice Masters. The game, which has an Avengers vs. X-Men theme, spun out of another WizKids game Quarriors, with a collectible twist. 4 years later….. The demand for the game has skyrocketed, especially after it debuted before retailers at the GAMA Trade Show. That lead to surge of interest for the starters, though boosters are available. Luckily, WizKids has rushed out 2 reprints, that will carry the product through to the next release in September X-Men. Basically, expect some initial shortages, and WizKids has apologized. It’s an interesting blog post that goes into shipping and some other details that might be fascinating to those who like a peak behind the curtain that is the game business. It also shoots down some rumors running around. So, knowing all of that, does this affect your interest in getting the game or when you plan to get it?